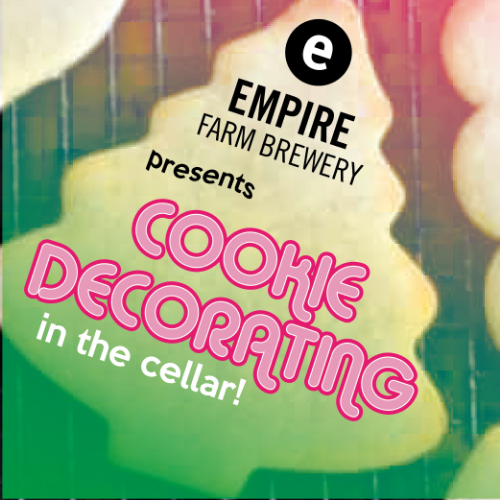 Join us at the Empire Farm Brewery for holiday cookie decorating! Fun for all ages! $10 gets you a dozen holiday cookies to decorate. All supplies are provided. During the holiday season we are doing a canned food drive. Please consider bringing a nonperishable item to donate, proceeds benefit local non-profit Caz Cares!